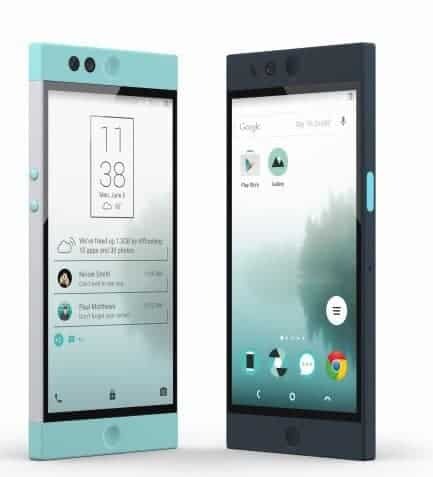 Nextbit Robin, a revolutionary smartphone which is mainly known for the power of cloud is coming to India very soon. Probably by the end of this month or next month, the Nextbit Robin will be officially launched in India, and there are obvious reasons to get excited about this phone. So, what’s exciting about Nextbit Robin? Let’s check out! Thye Nextbit Robiin sports a 5.2inch 1080P full HD display with Corning Gorilla Glass 4 protection. There is a 13MP rear camera with dual tone flash and Phase Detection Autofocus, and a 5MP front camera for selfies. Now, these are pretty normal for a phone which costs $399, but there’s much more. It has dual speakers and amplifiers on front. The Nextbit Robin is powered by Qualcomm Snapdragon 808, coupled with 3GB of RAM. You get 32GB storage onboard and as the company’s manin moto is to backup everything into cloud, you get 100GB of cloud storage for all your data. Nextbit Robin also has NFC and fingerperint scanner on the right edge of the phone, qute similar to OnePlus 2. It also has Qualcomm™ Quick Charge 2.0. Connectivity options include USB Type C, Bluetooth 4.0 LE, Wi-Fi 802.11a/b/g/n/ac and LTE with support for the following bands. Next articleFirst real image of Xiaomi Max is out and it’s really a huge phone! !